OK, let's cut the sh*t. A lot of the forearm exercise equipment out there is simply way overpriced. Like some of the 'forearm hammers' and crummy wrist rollers I've see. If you like the forearm hammers, just get a heavy sledgehammer. There are some genuinely useful pieces of forearm strengthening equipment out there. And if you're looking to seriously strengthen forearms, they'll actually help you. And many of them are cheap. Especially these Captains of Crush hand grippers, which are made of steel. Perfect for building a crushing grip with forearm exercises, as well as show off to your friends. 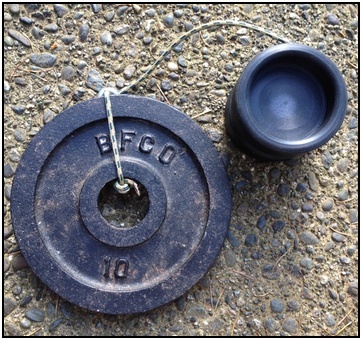 These aren't always cheap, but two beginner weights will last you for a long time. I like the 'Sport' and 'Trainer' to start with, which are geared towards beginners but still surprisingly difficult. A wrist roller is probably the most iconic piece of forearm training equipment. Just get a large diameter pipe, metal or heavy duty plastic, and attach a cord and weight. There are a number of expensive wrist rollers on the market. But you can easily make your own in the garage with a pipe, some rope, a climbing hook, and less than an hour of work. So, build your own. Or, if you're not that handy with tools, make a deal with one of your friends who is handy. The 'Twist Yo' Wrist', made by Iron Mind, is a very specialized piece of hand grip strengthening equipment. And it's handy, but if you have a sturdy wrist roller you don't need to buy it. Basically, a Twist Yo' Wrist allows you to roll up a weight plate using only your fingertips and wrists, with your palms facing each other. A wrist roler is usually used with both palms either facing the floor or the sky. But if you've got a sturdy wrist roller, you can just place your hands at either end for the same exercise. Your hands will be further apart, engaging slightly different upper arm muscles, but it's essentially the same movement. And you save about forty bucks. Kettlebells are useful for all kinds of exercises, but I especially like them for the forearms. If you can get over the fact that you usually have to buy your own, they're really useful. 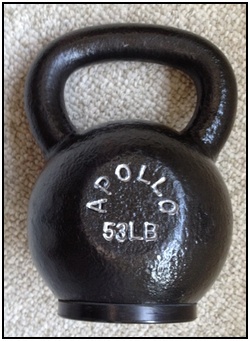 At the heavier weights, kettlebells usually have thicker and thicker handles. This makes them a great forearm workout. Second, the rotation of the kettlebell in your palm means you need to have a light but firm grip. I find this especially useful when training for martial arts, when I don't want to be 'locked in' all the time. And last, the kettlbell handle is usually slick! So with all the rotating and your sweaty palms, that makes it really hard to hold on to. All around, a great piece of forearm exercise equipment. 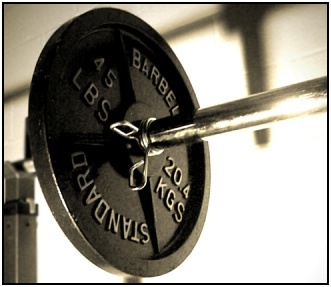 Thick barbells are great for your grip, and for all around training. I like then even though they're pretty hard to find. If you can buy them, they're thicker and ask way more of your grip. They're terrific and very painful training tools, and can give you one of the best forearm workouts around. 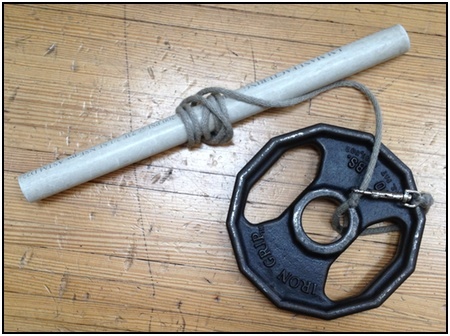 If you have your own barbells, you can wrap duct tape around the bar where you grab the bar to thicken it. Or duct tape with foam. But for some reason, they get mad at you in commercial gyms if you start doing this to their barbells. 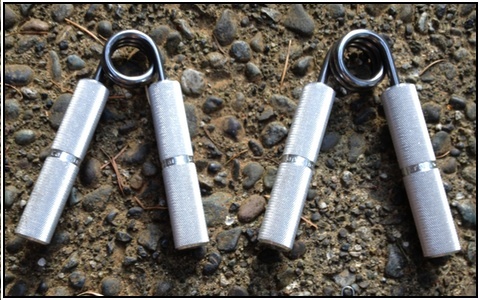 You can also buy grippers and pads to wrap around bars at commercial gyms temporarily, which will increase the diameter and stress your grip more. These are way cheaper and more convenient pieces of forearm exercise equipment than shelling out for thick barbells, but I haven't tried them myself and I'm wary of their marketing hype. This is probably the oddest bit of forearm exercise equipment. But also one of the most helpful. Just hook in your fingers, pick the bowling ball up, and rotate it around. This works your fingers and forearm muscles in all directions, and is a great training tool. 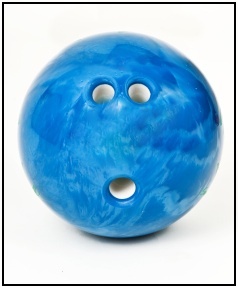 Try finding a bowling ball on Craigslist, eBay, or at a local yard sale. People usually have them lying around, and you can buy them for way cheaper than getting a brand new one from a store. • Click here to leave 'Forearm Exercise Equipment: 6 Pieces That Actually Help' & go back to the Home-page!